09 September 2004 Season 3, Episode 6: Ready, Set, Hunt! 18 January 2005 Season 4, Episode 11: Too Much To Ask? 07 February 2005 Season 5, Episode 12: Space Or Seashore? 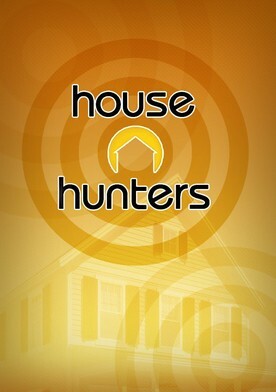 Season 8, Episode 10: House Hunters Hits The Road! 27 November 2003 Season 8, Episode 16: Make Room For Triplets! 27 May 2004 Season 10, Episode 13: Goodbye, Apartment! 10 February 2005 Season 13, Episode 1: Adios, Apartment! 16 August 2007 Season 22, Episode 7: Do You Know The Way To Santa Fe? 13 February 2008 Season 23, Episode 7: Maui Wowie! 27 Apr 2011 Season 24, Episode 3: Hello, City Life! 22 May 2008 Season 26, Episode 5: Goodbye, City Life! 11 Sep 2008 Season 27, Episode 13: Relocating to D.C.
19 October 2008 Season 29, Episode 12: Westward Ho! 30 September 2010 Season 44, Episode 7: Looking for a First Home in Washington, D.C.
09 October 2011 Season 48, Episode 14: Singer Searches for Starter Home in L.A.
06 February 2012 Season 48, Episode 25: A First Time Buyer Tries to Go From Renter to Landlord in the D.C. Area. 15 February 2012 Season 48, Episode 32: A Couple Is On the Search For Their First Home Together in Hollywood. 21 February 2012 Season 48, Episode 36: A Couple Planning to Adopt Wants to Find the Perfect Family Home in L.A.
02 April 2012 Season 48, Episode 65: Fashion Designer and Engineer Look for an Eichler in Palo Alto, CA. 23 May 2012 Season 48, Episode 102: Mark and Meghan Are Excited To Buy Their First Home in Charlotte, N.C.
18 July 2012 Season 50, Episode 18: A couple searches for a home in Connecticut. 19 July 2012 Season 50, Episode 19: On a whim, a couple decides to buy a new house in downtown Philadelphia. 20 September 2012 Season 50, Episode 64: Newlywed House Hunters Fight it Out in D.C.
09 October 2011 Season 51, Episode 12: Singer Searches for Starter Home in L.A.
09 May 2013 Season 51, Episode 66: What Will a Million Dollar Budget Buy in Manhattan? 24 June 2013 Season 51, Episode 81: Perfect Location or Two Bedrooms? 16 July 2013 Season 51, Episode 88: Jason Wants to Put Down Roots and Buy a Condo in Washington, D.C.
24 September 2013 Season 52, Episode 26: John and Steve Move From Rural Texas to Washington D.C.
14 October 2013 Season 52, Episode 40: Sports Room vs. Indian Dancing Studio Near Washington D.C.
25 October 2013 Season 52, Episode 49: Couple Wants Home With Space to Fly Toy Chopper Near Washington D.C.
06 November 2013 Season 52, Episode 57: How Far Will a Million Dollars Go in Manhattan Beach? 04 December 2013 Season 52, Episode 77: She Wants a Victorian Row Home But He Wants a Big Yard to Mow in D.C.
24 October 2011 Season 53, Episode 4: From Inner-City to the O.C. 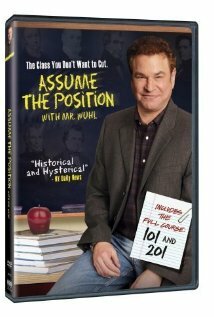 03 December 2011 Season 53, Episode 10: Teacher Searches for Starter Home in Raleigh, N.C.
20 March 2014 Season 53, Episode 41: A Young Couple Learns the Realities of House Hunting in L.A.
21 August 2014 Season 54, Episode 23: Historic Charmer or Sleek Bachelor Pad in L.A.
21 February 2012 Season 57, Episode 5: A Couple Planning to Adopt Wants to Find the Perfect Family Home in L.A.
23 May 2012 Season 62, Episode 7: Mark and Meghan Are Excited To Buy Their First Home in Charlotte, N.C.
20 September 2012 Season 67, Episode 10: Newlywed House Hunters Fight it Out in D.C.
24 June 2013 Season 75, Episode 1: Perfect Location or Two Bedrooms? 09 May 2013 Season 75, Episode 11: What Will a Million Dollar Budget Buy in Manhattan? 16 July 2013 Season 77, Episode 9: Jason Wants to Put Down Roots and Buy a Condo in Washington, D.C.
24 September 2013 Season 79, Episode 4: John and Steve Move From Rural Texas to Washington D.C.
13 October 2013 Season 79, Episode 7: Sports Room vs. Indian Dancing Studio Near Washington D.C.
25 October 2013 Season 80, Episode 3: Couple Wants Home With Space to Fly Toy Chopper Near Washington D.C.
06 November 2013 Season 81, Episode 10: How Far Will a Million Dollars Go in Manhattan Beach? 01 January 2014 Season 83, Episode 7: New Parents Look for a Home With Good Feng Shui in L.A.
20 March 2014 Season 85, Episode 3: A Young Couple Learns the Realities of House Hunting in L.A.
29 July 2014 Season 89, Episode 10: Young Couple Looks for a Family-friendly and Trendy Home in L.A.
21 August 2014 Season 90, Episode 11: Historic Charmer or Sleek Bachelor Pad in L.A.
13 May 2015 Season 99, Episode 10: Classic in the City vs. New in the Suburbs of D.C.